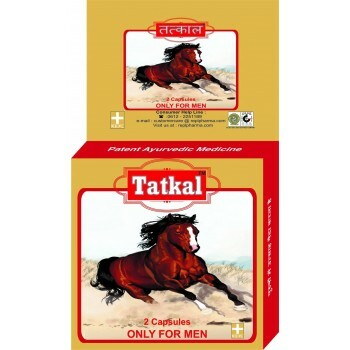 Tatkal Capsules - REPL Original Ayurvedic Capsule for ED, Harder Erection, Vigor & vitality. Feel the Winning Moment! Energies your Potency!! Doses:- One cap. Alternate day or As directed by the physician. Shelf life and special conditions for storage: Tatkal Capsule is a Ayurvedic medicine, so it may be kept forever if It should be stored in a cool, dry place, should be proper & tightly caped and protect from sunlight. With prescription - It is recommended to use the medicine on prescription.